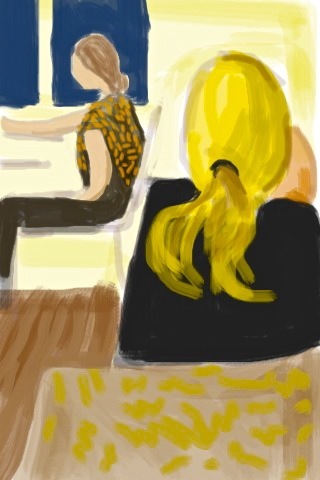 The task: once a week make a painting on iPhone of a ten minute speaker at a breakfast meeting. The results will be posted each week. This first picture is a test. ← What’s in a toddler’s mind part 3.